When it comes to carpeting your home, the carpet you may want might not necessarily be the best option in terms of practicality. For instance, the entrances, exits and hallways are all heavily used area which means they see a lot of foot traffic on a day to day basis. Therefore, although you want to choose a carpet that looks the part, you don’t want to fall short and end up with something that will only need replacing. 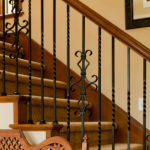 In light of this, the team at Brent Carpets have come up with a list of our most recommended carpet types for high traffic areas in your home. If you are looking for carpets in your office, read our choosing guide for office carpets. The Carpet and Rug Institute revealed that shorter pile carpets (carpets under 2cm tall) are proven to be the most durable as there is less carpet standing tall that can be compressed when trodden on. So if you’re searching for a carpet that can retain its appearance overtime in high traffic areas, then a short pile carpet is your best option. The carpet fibres are looped with the tops then cut off to cause lots of short tufts of yarn that stand up creating the cut pile carpet. 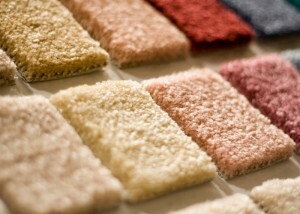 An extremely popular carpet choice, the cut pile is durable but isn’t the best on the market for withstanding crushing. For a natural alternative, a carpet made from wool fibres is an excellent choice. Fire and stain resistant, wool fibre is ideal for heavy foot traffic areas as the wool bounces back making it ultra durable to crushing and losing shape. This is a more luxurious choice so prices will be more expensive, however it is an investment in something that will stand the test of time. 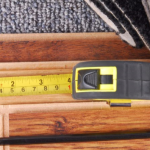 All carpet fibres are cut at the same height. This way, the loops stay in place and form a tightly knit level loop pile. Any dirt will remain on the surface of the carpet is easier to vacuum up, which in the long-run should keep any discolouration at bay. 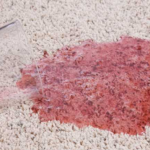 The carpet fibres are twisted tightly and then cut very short. This different version of a short pile carpet again, helps cleaning dirt and dust much easier and also helps hide the appearance of footprints far better than a longer cut pile. After looking at the different types of carpet that are ideal for withstanding excessive wear and tear from high foot traffic areas, you’ll now hopefully be able to identify a durable carpet more confidently and chose the right one for you and your home. If you have any further questions or queries about durable carpets, please feel free to contact the team at Brent Carpets in London. We stock an impressive range of durable carpets and would be more than happy to offer you our professional advice. How to Reuse or Recycle your Old Carpets?